Eeeek, Christmas is just over 5 weeks away and so time is running out if you fancy booking a family escape for the festive break. *Sleeps 5 *Open fire *Dishwasher *Owner is providing a welcome pack with lots of goodies for the Christmas and New Year weeks. 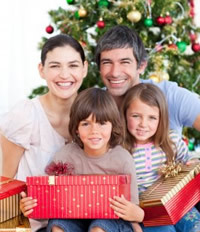 Cherish a big family Christmas with a larger property perfect for all the family. Now that the weather has turned decidedly chilly and the clocks have gone back, I think it’s safe to give our first mention to the Christmas holidays. And, while many people like Christmas at home, a lot of people love the opportunity to escape over the festive holiday break. we can certainly see the appeal, either with or without the extended family, to enjoy the Christmas and New Year holidays in a lovely cottage in the country or on the British coast. A cottage for Christmas can be perfect for couples wanting a quiet retreat but are so perfect for big families all looking to get together in one place that is big enough to take them all. Southwold is on the Suffolk Coast, one of the most unspoilt coastlines in the country, and a hugely popular cottage holiday destination. Considered a genteel seaside resort without the tacky nature of so many seaside towns, it has a lovely sandy beach, open heathland and a lovely harbour. Although sedate the town does have a pier, you can take boat rides and enjoy fish and chips. Also in town is the popular Suffolk brewer, Adnams. In the holiday season Southwold and the surrounding area can be very busy and so if you want to explore this beautiful area in relative peace and relaxation it is well worth heading there later in the year. 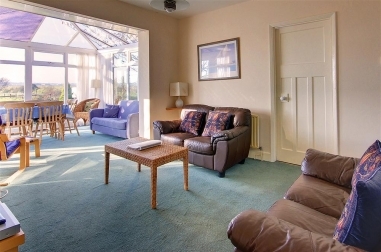 There are some great offers and availability on self catering holiday accommodation in October, especially with the October half term approaching, and we particularly like a holiday cottage saving of £75 on a weeks stay at The Saltings in Southwold. The Saltings, sleeps 5 and has 3 bedrooms, is ideally situated next to the beach with lovely views of the Denes and the River Blyth. It has been transformed by the addition of a conservatory and decking at the rear which make the most of the evening sun and stunning views. All on one level, the property is light and homely, has easy access to the town and is only a short walk from the beach. Ideal for families, it also caters for young children with the provision of cots and high chairs if required. Pets are also allowed. Broadband Internet is also available. The £75 off Special Offer is due to a last-minute cancellation and it’s available from 19th to 22nd October with a £75 discount. Use the link above to see more information about the cottage break and a link to check availability, confirm prices and book online. Whether you’re a cycling enthusiast or just looking for a day out in September it is worth checking out the Tour of Britain, cycling’s premier road race in Britain. In 2012 the event has attracted Team Sky with both Bradley Wiggins and Mark Cavendish taking part, so its a great chance to see a current cycling World Champion, Tour de France winner and an Olympic gold medalist. The 2012 Tour kicked off from Ipswich yesterday finishing at the Royal Norfolk Showground. There were a number of crashes, one of which unfortunately accounted for Mark Cavendish, but the stage saw a British winner in the form of Luke Wroe from Team Sky. Here is what is in store over the next few days and where you can see some of the action. The second stage today is from Nottingham to Knowsley Safari Park in Merseyside passing through Cheshire’s Peak District. So it will be taking in some wonderful British countryside and the Safari Park finishes promises some great excitement. The third stage heads to Scotland, moving from Jedburgh to Dumfries and taking in Scotland’s stunning landscapes which provide the perfect backdrop to Britain’s biggest race and an undulating stage route. Stage four is the half way point of the Tour of Britain and takes place in the North West of England from Carlisle and Penrith to Blackpool Promenade. It is certainly an exciting few days in store, if you go along make sure you take some great pictures and how about posting some here or on our Facebook page.